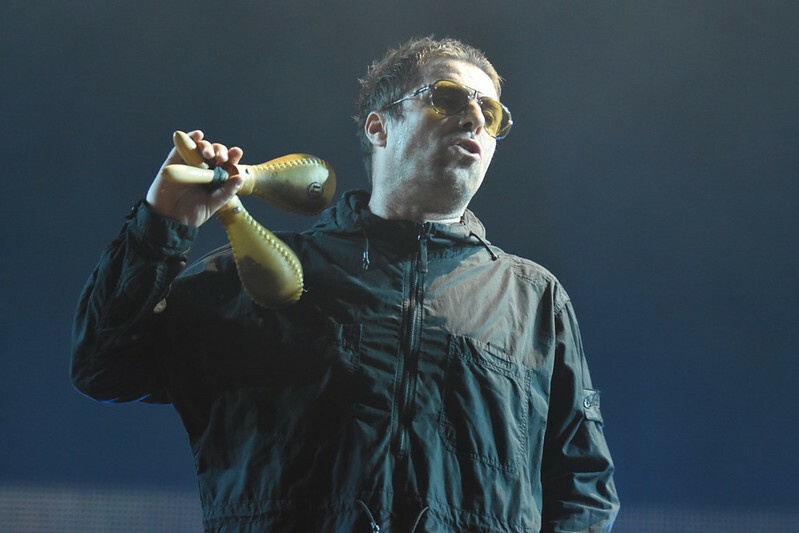 It’s a mild evening in Manchester as Liam Gallagher played his biggest headline solo show to date with well over 50,000 packed into the cricket ground. Liam’s Debut album ‘As You Were’ was only released 10 months ago and his popularity and resurgence has soared in that time. This also has a lot to do with nostalgia and the fact he was the frontman for the mighty Oasis and tonight’s setlist reflects his love for his former band. There are stellar support acts tonight and first up are Manchester’s Twisted Wheel who sadly are just finishing their set as I arrive. They broke up in 2014 but reformed this year. 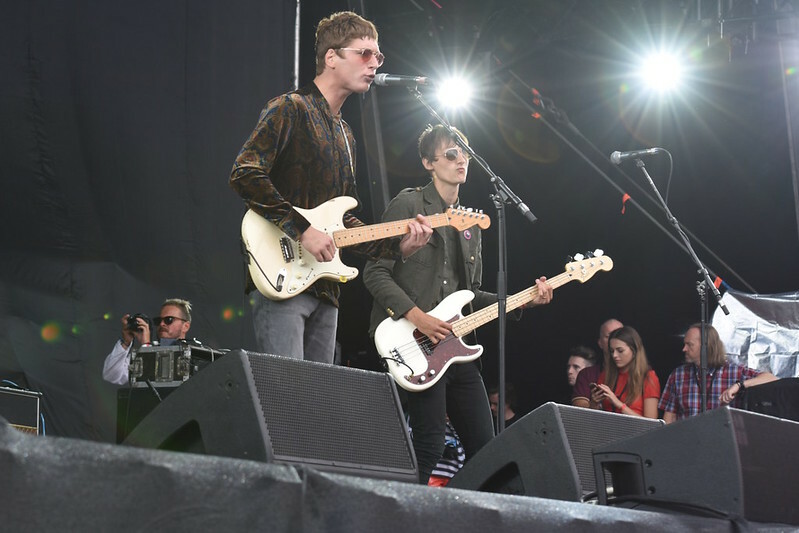 Although I can’t fully review their set today, if you like The Libertines then you will definitely like Twisted Wheel and I receive a lot of positive comments about their performance today. 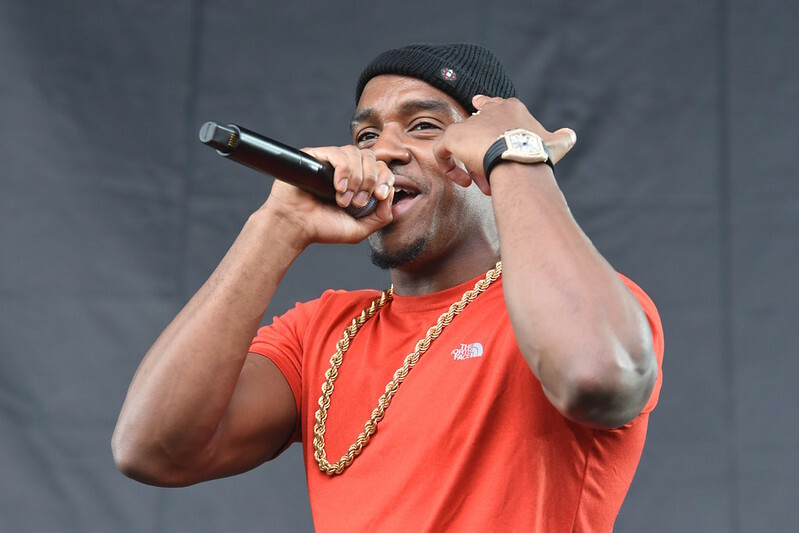 Next up is Bugzy Malone, also from Manchester who is one of the leading figures in the Grime scene. He has released 3 EP’s to date and his much-anticipated debut album ‘B. Inspired’ was released the day before this concert. Liam Gallagher himself endorsed him and is a big fan and it is great to see Grime being represented today. After a brief warm up and Intro from his DJ, he takes to the stage and receives a very warm reception from the crowd. By the 2nd track he’s already got the people at the front bouncing. During the early part of his set his vocals are drowned out a little by the music, plus the wind is whipping up causing the sound to reverberate a bit. The sound is much improved as he launches into ‘Drama’. As he introduces ‘Moving’ he mentions last year’s Manchester Arena attack, a theme that is movingly mentioned by all the artists today. 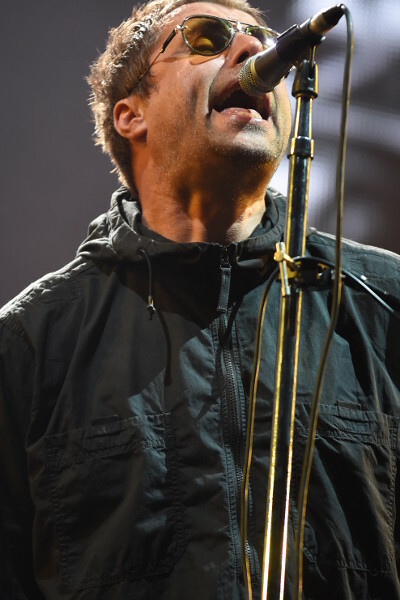 As he closes his set, he’s got the crowd bouncing again and has delivered a solid set to what is predominantly a crowd who are here to see some Oasis nostalgia. The Cricket Ground is almost full as Richard Ashcroft takes to the stage. He is the only performer today not from Manchester but is still embraced by the crowd as one of their own as he’s Lancashire born and bred. Along with Liam he was also formerly part of a massive band ‘The Verve’ and his set tonight reflects the brilliant music of that band. The ground is almost full as he swaggers on stage and opens with a beautiful solo rendition of ‘On Your Own’ and then ‘Sonnet’. He is then joined by the Full Band for a couple of his own solo songs before treating us to more Verve classics. He performs ‘The Drugs Don’t Work’ on his own before being joined by the rest of the band at the end along with a full singalong from the crowd. He closes his set with the timeless ‘Bitter Sweet Symphony’ and again it’s a beautiful sight to witness the whole crowd singing in unison. 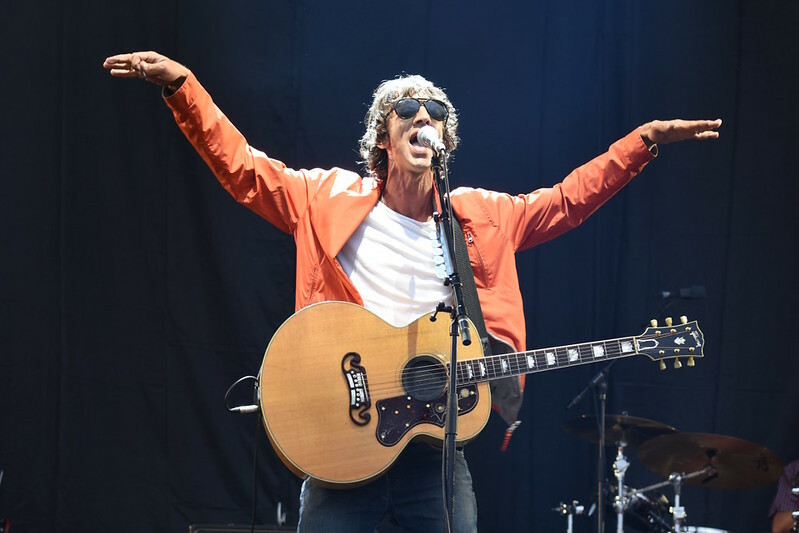 It’s been almost 10 years since The Verve split for what appears to be a 3rd and final time but it’s great to see that Richard Ashcroft is still popular as a solo artist and he remains one of the most gifted songwriters this country has produced. The crowd are well and truly ready for the Main Act although all around me some people have enjoyed themselves a little too much and may not even remember his performance! 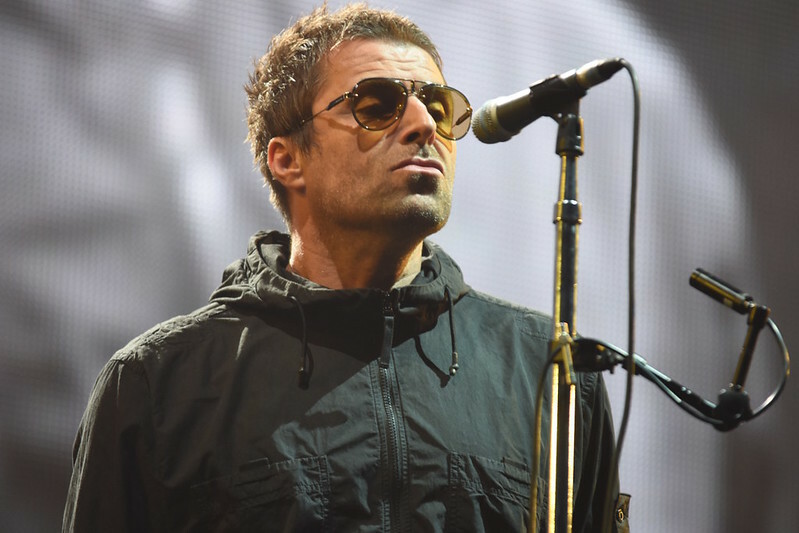 Mr Liam Gallagher, the comeback kid of sorts and former lead singer of one of the biggest bands of all time (I’m not talking about Beady Eye!) and now playing solo gigs as big as his former band! As a side point he looks pretty good for someone who is celebrating his 46th birthday next month and he’s even slightly mellowed with age! I saw him deliver a great set at Leeds Festival last year and tonight’s set also made me realise how tight his backing band have become during the past 18 months of touring together. 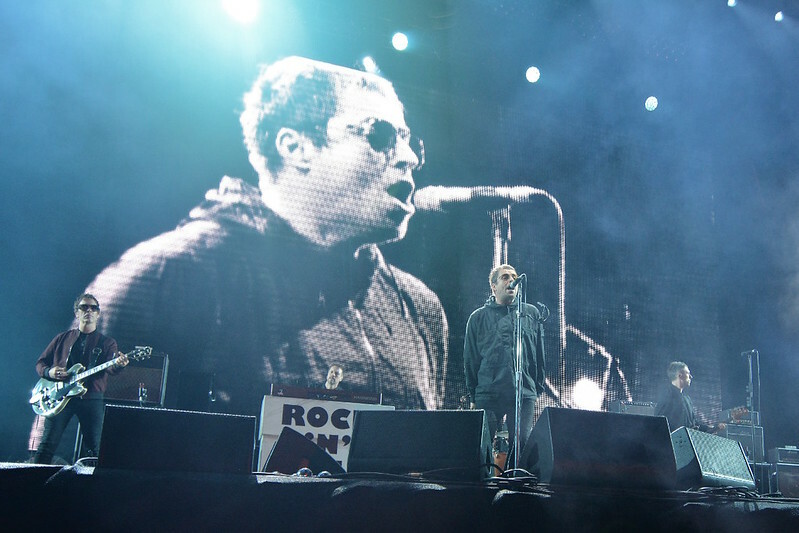 He opens the set with a rousing rendition of ‘Rock ‘n’ Roll Star’, the opening track on Oasis classic debut album ‘Definitely Maybe’ released back in 1994. It’s a great start and is followed up with another Oasis track ‘Morning Glory’ and the crowd are already buzzing! Attention then switches to his debut solo album with lead single ‘Wall of Glass’ receiving a great response from the crowd. But it’s his Oasis tracks which receive the greatest reaction with one of the highlights being a beautiful stripped back piano version of ‘Champagne Supernova’. 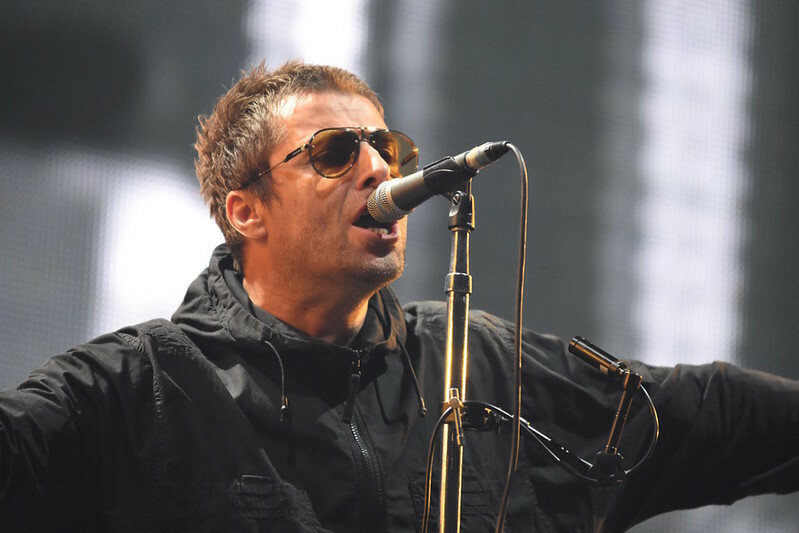 This is followed by one track from the other band Liam was in ‘Beady Eye’. The track is ‘Soul Love’ taken from their 2nd and final album and is a against a backdrop of the late great Aretha Franklin who passed away just 2 days before this concert. One more solo track follows, ‘You Better Run’ which is an up-tempo Rock N’ Roll track. For me, this was the highlight of his solo material tonight. From this point on its nostalgia for the remainder of the might as he closes the main set with ‘Whatever’ with full band and live orchestra. He returns with special guest and original Oasis member Paul ‘Bonehead’ Arthurs and launches into their debut single ‘Supersonic’. The hits keep coming and we are all truly lapping it up as he finishes with ‘Wonderwall’ and gets the audience to sing it back to him. A slight smile briefly appears from Liam who simply says to the crowd ‘Beautiful”. He returns for the final encore to perform early Oasis B-Side ‘D’Yer Wanna Be a Spaceman’ which was originally sung by his older brother Noel. I actually can’t believe I have gone this long without mentioning his brother! Tonight’s gig truly felt at times like an Oasis gig with the glaring exception of his absent brother. 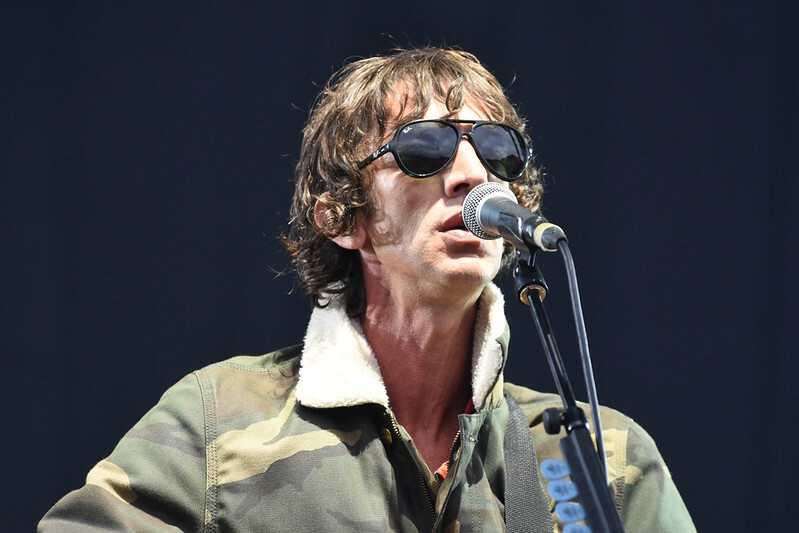 Liam is joined onstage by Richard Ashcroft as he closes with an emotional ‘Live Forever’ which he dedicates to the Manchester Attack victims. Towards the end of the song the Manchester bee logo and the Number 22 appear on the large screens in honour of those who tragically lost their lives that night; gone but never ever forgotten. 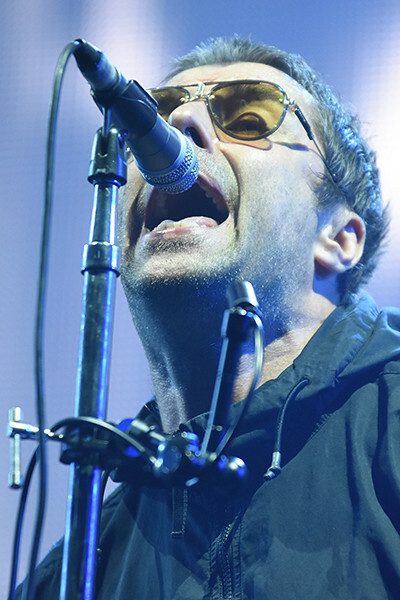 It has been a majestic performance and it’s clear to see that his heart still belongs with Oasis; we live in hope that the brothers will kiss and make up one day!